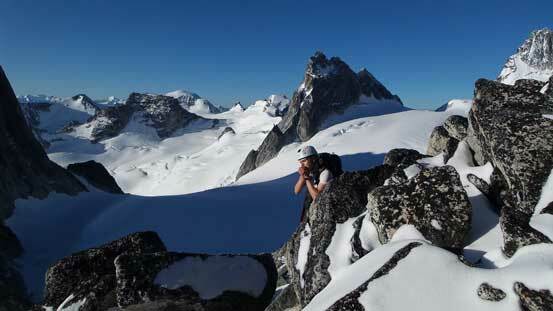 The Bugaboos, situated in the heart of Purcell Mountains just to the west of Invermere/Golden, consists of many granite spires spiking through glaciated terrain. 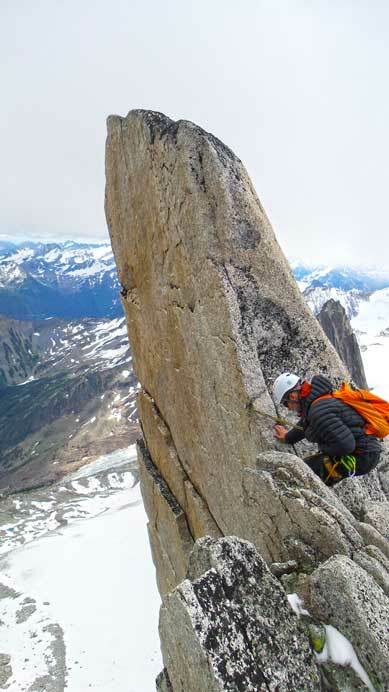 It’s one of the best playgrounds in North America for alpine climbers at all levels, and people come from all over the world to enjoy this world-class gem. 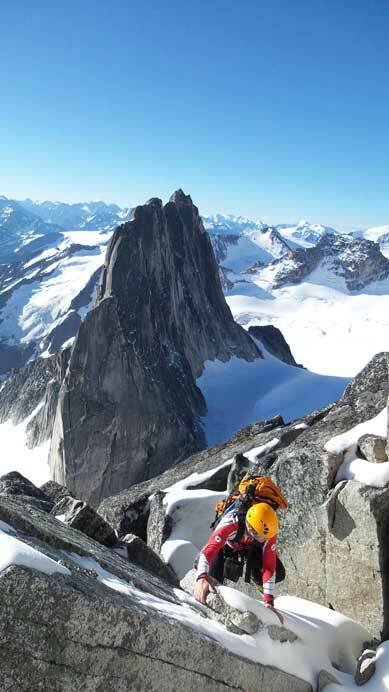 Bugaboo Spire is one of the tallest peaks in this area and offers two classic routes – the NE Ridge (IV, 5.8) listed in the Fifty Classics Climbs of North America and the Kain Route (III, 5.6+) which is the easiest line up this summit. 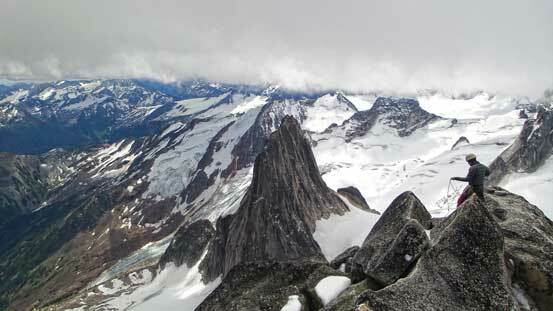 Either of the two will be a major undertaking and standing on top of Bugaboo Spire should be every climber’s dream. 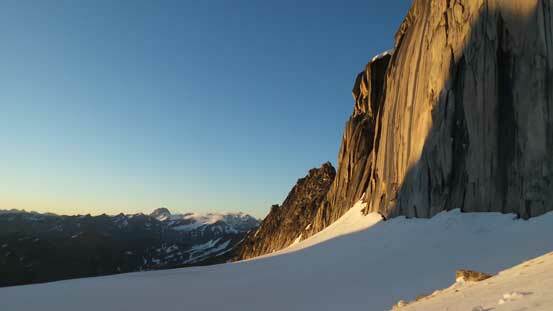 For folks without extended technical rock climbing experience like myself, the Kain Route will be the only option. 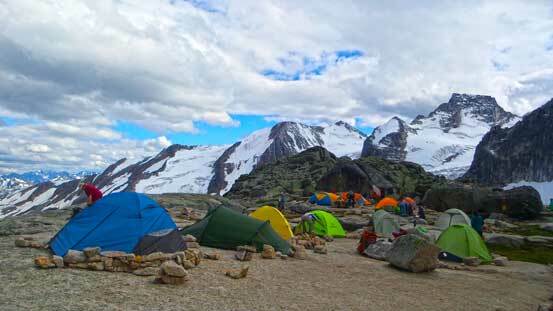 It was the primary objective of our Bugaboo trip in this past weekend. Actually, if not because of Ferenc’s suggestion I’d never thought about bagging it on this trip. 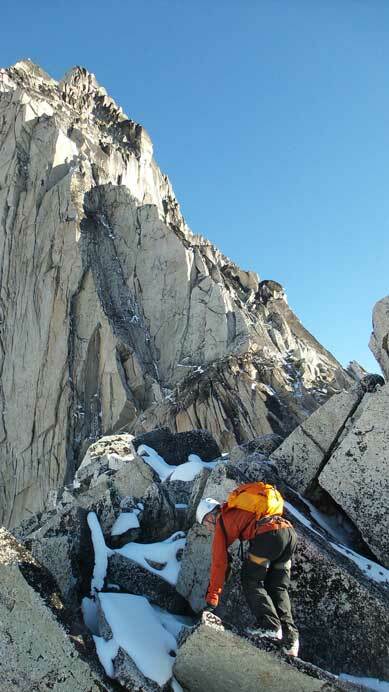 Anyway, I like pushing my limit so that’s it, after scrambling up Crescent Spire and North Crescent Tower on the first day, Ben, Ferenc and I had a well-deserved rest at Applebee Dome camp site. 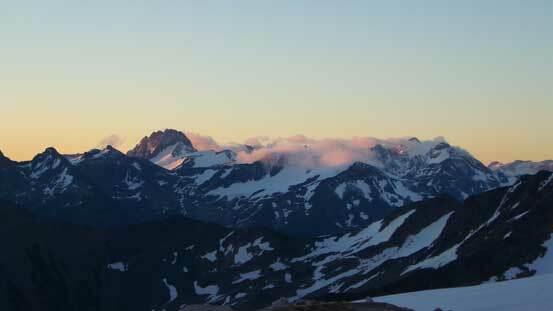 It seemed like other folks were waking up around the same time (~5 am), and after a somehow longish breakfast break, we were off towards Bugaboo/Snowpatch Col by about 5:45 am. That wasn’t quite an “alpine start”, but given the long daylight time and the superb weather forecast we figured it’s not necessary to start in dark. 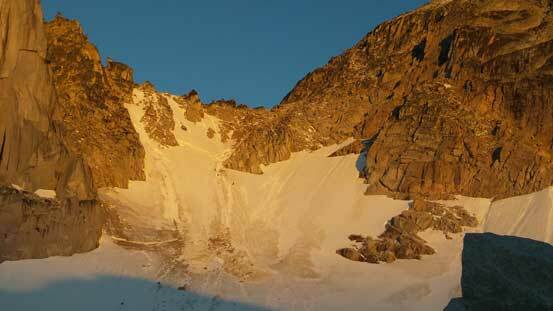 We all wanted to at least being able to see the ground for the initial boulder field approach to Crescent Glacier. 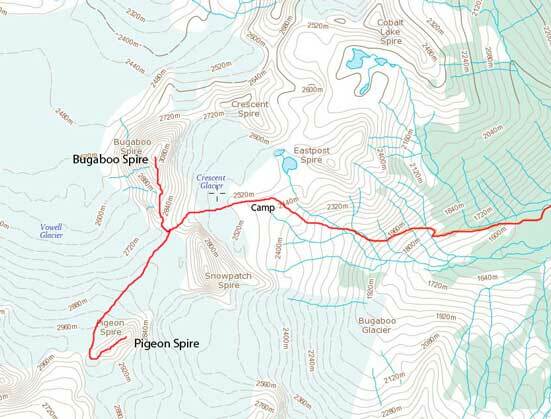 There was a highway of tracks leading us crossing Crescent Glacier, and straight in front of us would be the infamous Bugaboo/Snowpatch col. 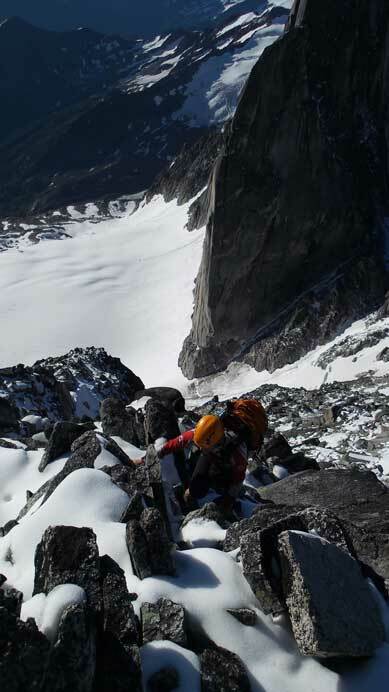 This col is notorious for rockfall danger and to get there one has to climb 40-45 degree snow/ice slope with a big bergschrund spanning across at about 2/3 of the way up. 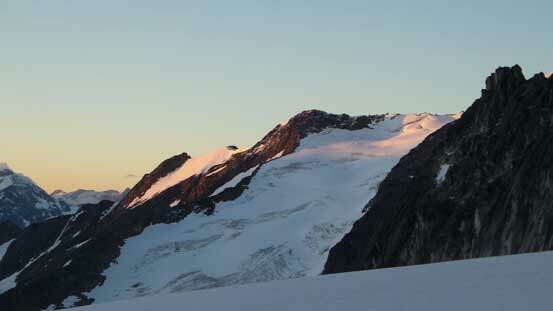 Later in the season this bergschrund will likely fully open and the route will become extremely difficult. 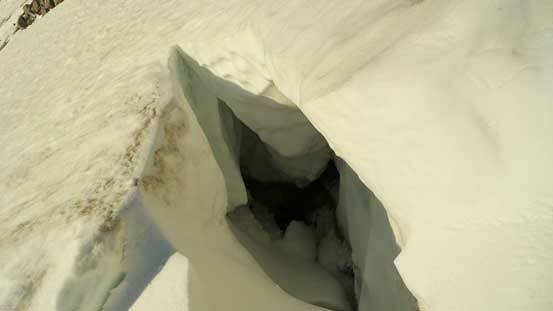 Luckily for us, there was still about 10-15 feet of continuous snow to cross this obstacle on climber’s right side. 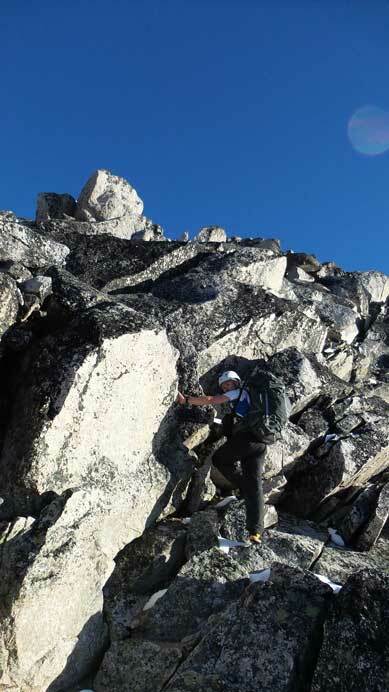 Speaking the snow climb, it’s shorter and easier than Mount Lefroy which I did a couple weeks ago, and we made progress pretty quick. There were two short sandy/rocky steps offering a bit of challenge but nothing too serious. I never felt the need to take out my ice tool. 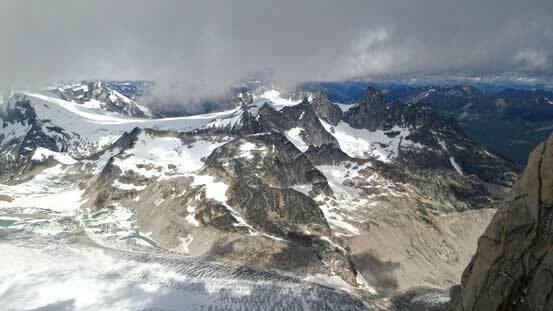 From the col, breath-taking view towards Howser Towers and Pigeon Spire was waiting for us. 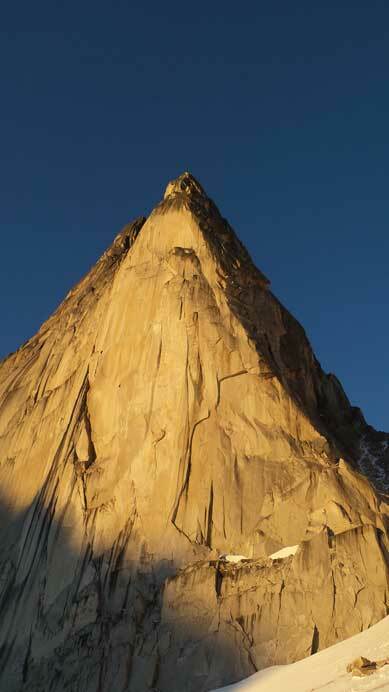 The N. Face of Snowpatch Spire. There’s some big wall projects on this face! 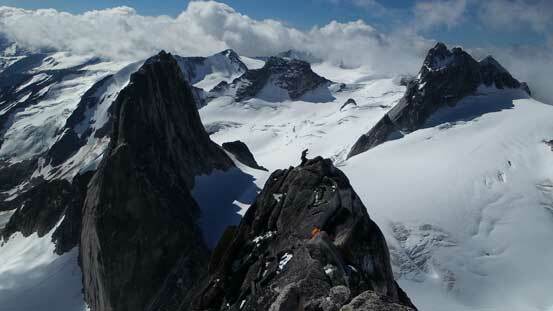 Looking ahead the Kain Route on Bugaboo Spire. Pigeon Spire was completely out of shape on this day. Sick view of Howser Towers! 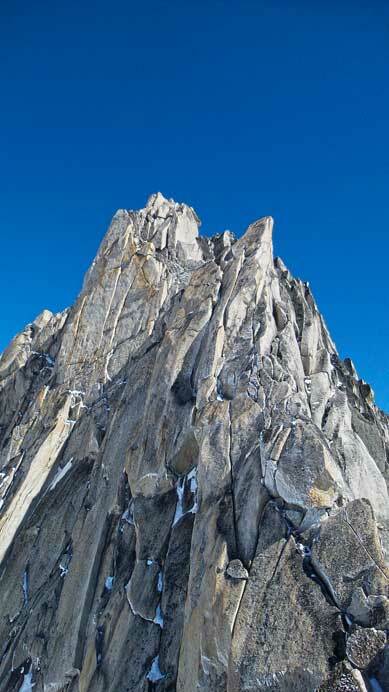 Apart from one solo climber (Tony) and the three of us, all other parties went for Pigeon Spire. 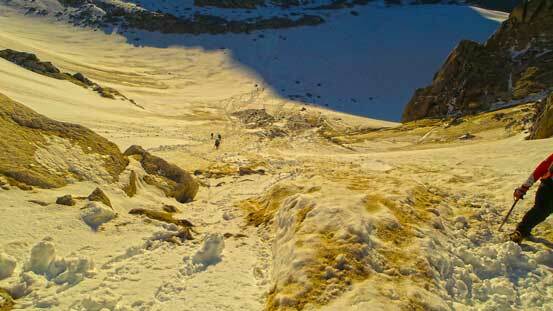 At this point we were all skeptical about their chance of success since the upper slabs looked very icy. 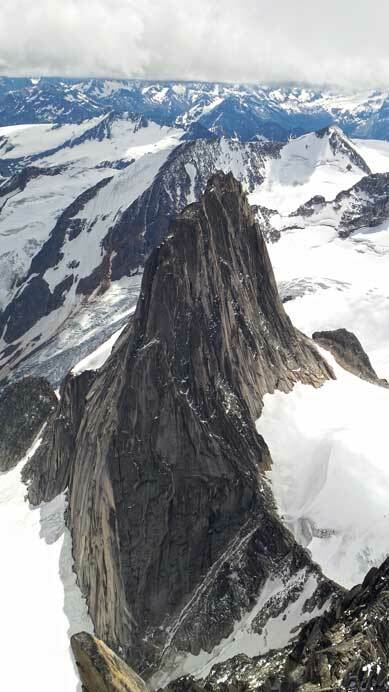 The Kain Route of Bugaboo Spire was also holding a lot of fresh snow, but at least it’s south facing so there’s a great chance the strong July sun would melt out the icy stuffs by the time we reached the technical terrain. 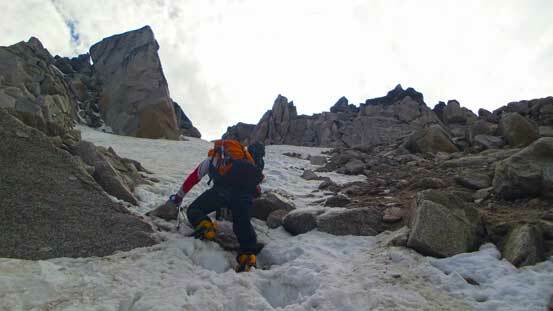 The lower half of the route was mostly class 2-3 scrambling, but with fresh snow it felt a bit spicier, but nothing too tricky. Ferenc dealing with fresh snow coated granite. 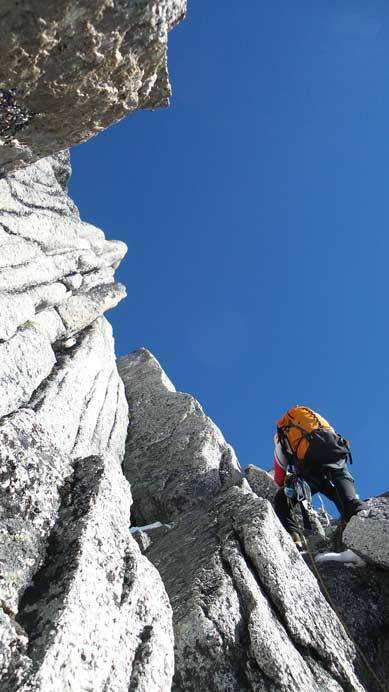 Terrain will steepen considerably ahead. 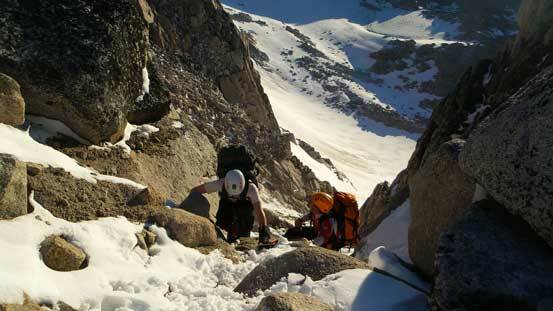 Soon we made to the first “bench” (or a flatter section) along the ridge. 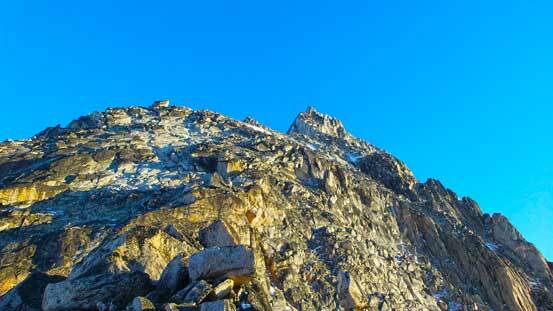 Ahead the terrain would transition from 3rd class to exposed 4th to low 5th class scramble. 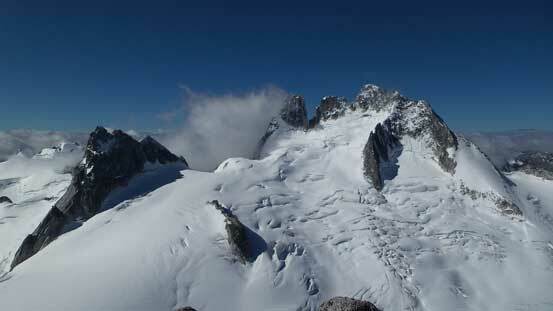 Again, the fresh snow added extra challenge to us. A “diving board” rock marked the termination of the 3rd class scramble and getting over this obstacle was low 5th class. Above it there was a bolted anchor and we’d use it on the descent. 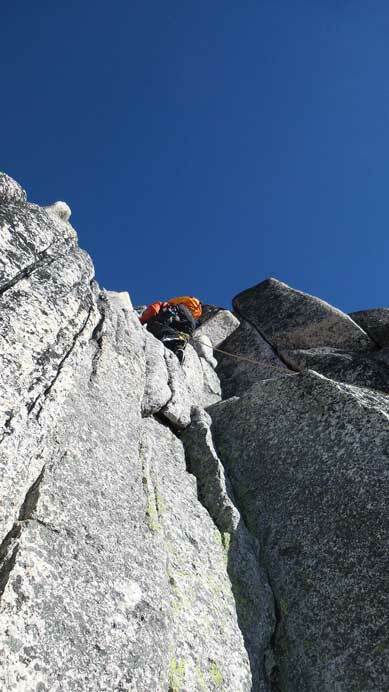 Some more 4th class scrambling brought us to the next obstacle – a vertical (almost overhanging) right-facing corner/crack. 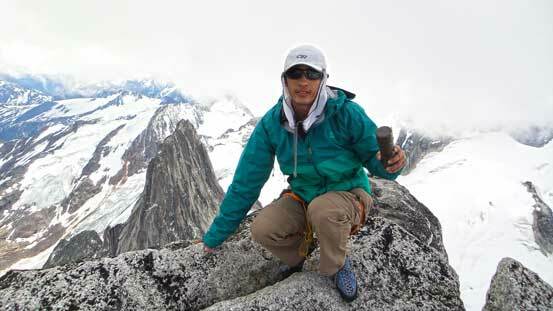 It’s pretty short and not super exposed, but getting up it felt very awkward especially with (wet) mountaineering boots. 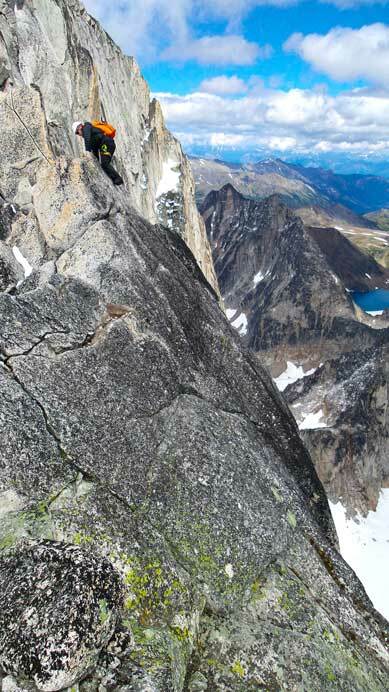 And after this bit, the ridge curved rightwards a bit, and ahead would be the “parallel 5th class cracks/chimneys” – 50 m of 5.4 climbing. Ben about to ascend the diving board rock section. Ben climbing up the awkward right-facing corner. 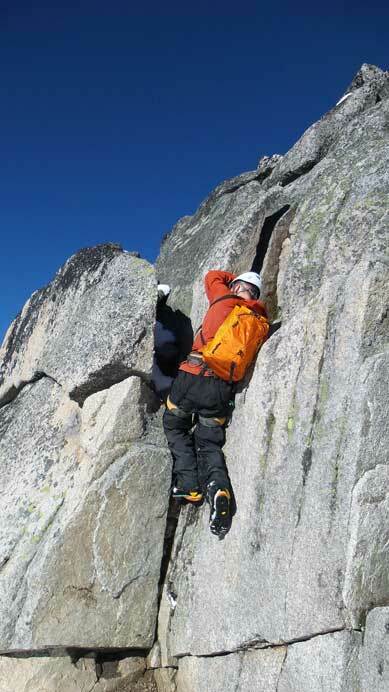 Typical climbing on this 4th/5th class section. 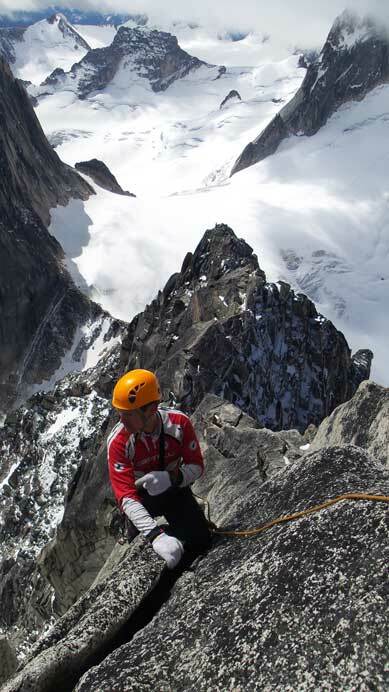 Ferenc had to traverse an exposed, down-sloping and snow coated ledge to the base of 5.4 chimney/crack. The terrain looked very steep even from the base of it and given there’s already a pre-built belay station we decided to eventually pull the rope out. 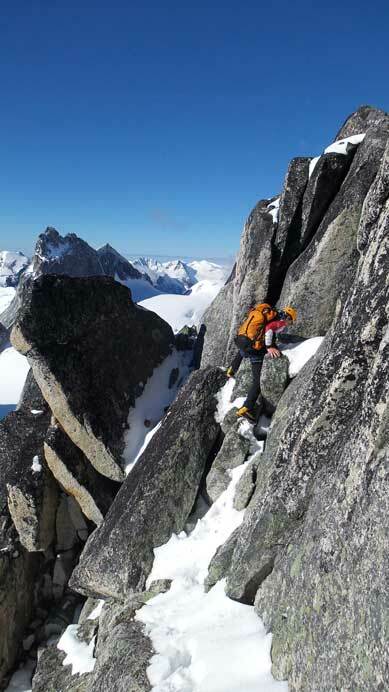 The snow prevented us from switching to rock shoes and we weren’t very confident on soloing the entire section wearing the bulky rigid boots… On the other hand, this also marked the termination of our “speedy ascent”. Ben led up confidently to the halfway bolted anchor and Ferenc took over to lead the harder second half. 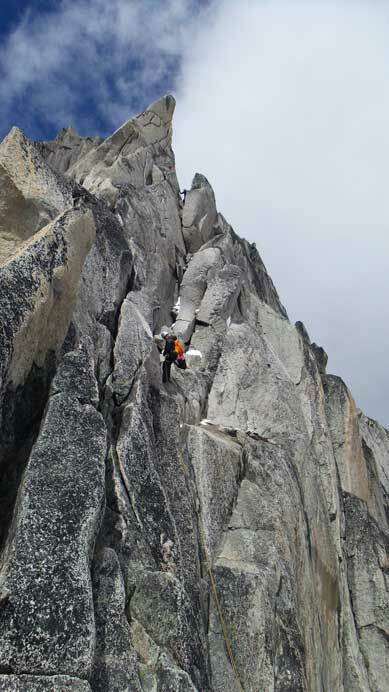 The climbing was mostly cracks and corners on granite – very different than the typical Rockies’ routes (face-climbing on limestone). Despite the 5.4 rating this felt much harder than the usual 5.4-5.5 climbs I’d done in the Rockies. Near the top of this technical section I could hear Ferenc talking to someone. 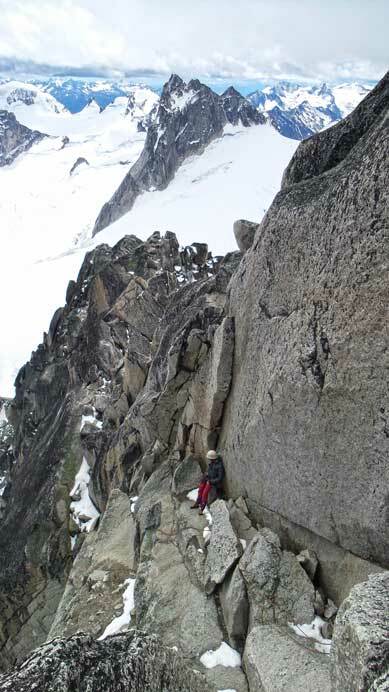 Sure enough, given the icy conditions the solo climber (Tony) wasn’t quite confident to free solo the crux gendarme pitch and wanted a belayer. That worked perfectly for us as we also wished to have a leader for that section. 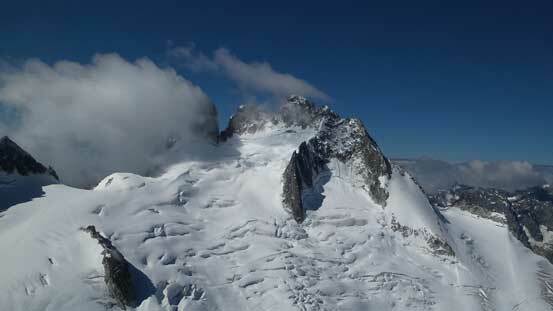 The next section was a relatively flat, but extremely exposed 4th class ridge leading towards the Gendarme pitch. 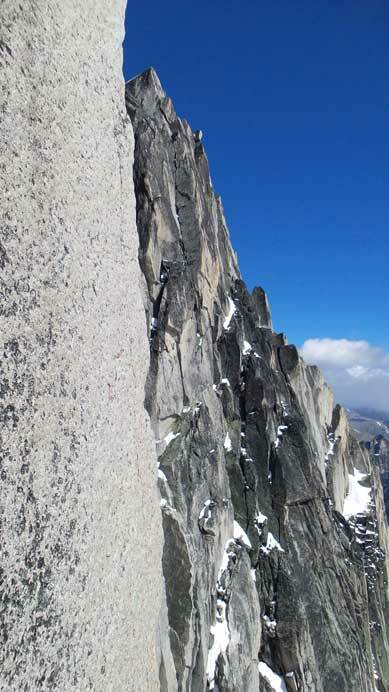 We all changed footwear to rock shoes, packed the ropes and solo’d this part. 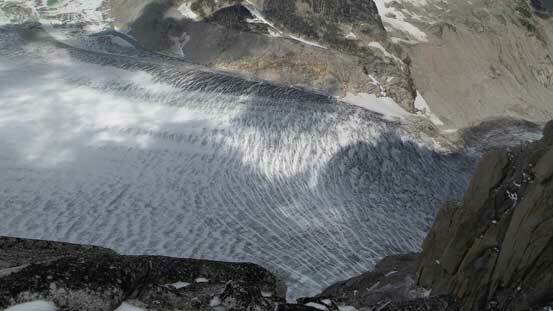 The lingering ice covered some key ledges on the left (west) side and at a few parts we had to largely rely on friction or au-chevalling while being exposed to the entire east face. That was exhilarating! 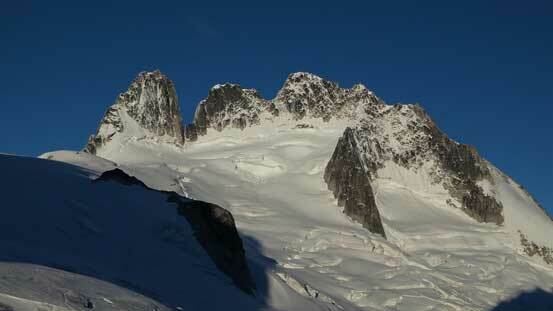 The gendarme section actually has two pitches but one long pitch would also work. 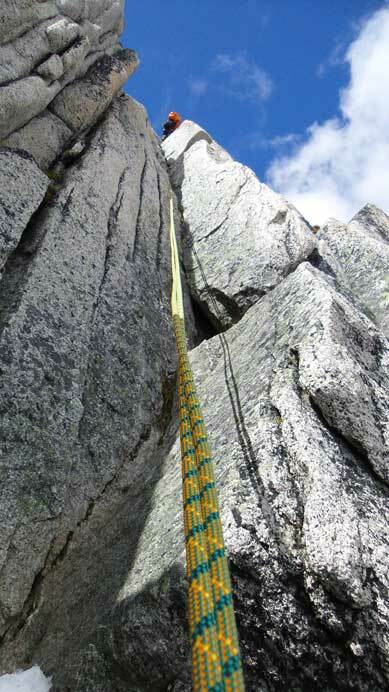 However, since we were travelling in a group of 4, even though with two 60 m ropes we still had to do two separate pitches, otherwise we could run out of rope. 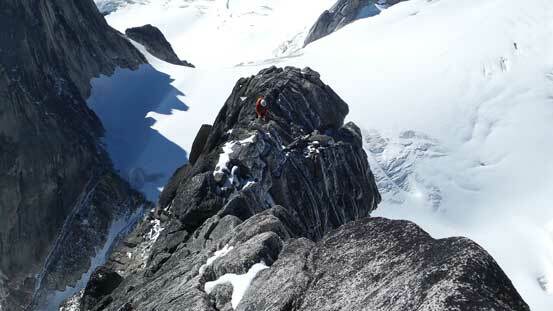 The terrain steepened up in no time as I started the first pitch. With a belay from above I gingerly made through, but the real game was the next one. Looking down at Ferenc. This is the same place as the cover page of Freedom of the Hills. 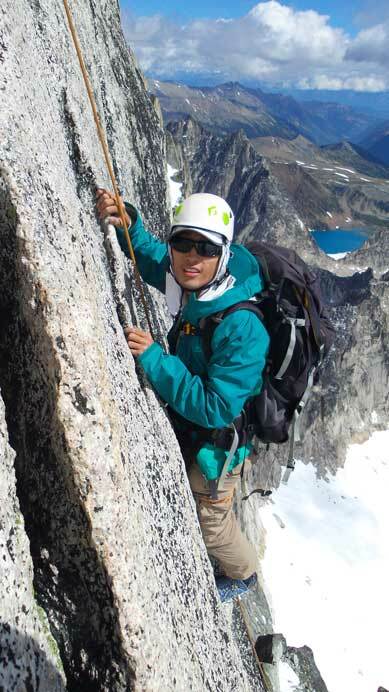 Tony led confidently up a couple horizontal ledges before cutting over the edge. At this point the next group behind caught us up. They were from Colorado and the leader (whom I later knew being Charlie Nuttleman), led a different line which was a bit lower than ours. They called their line the “variation” although I had never heard about this variation. 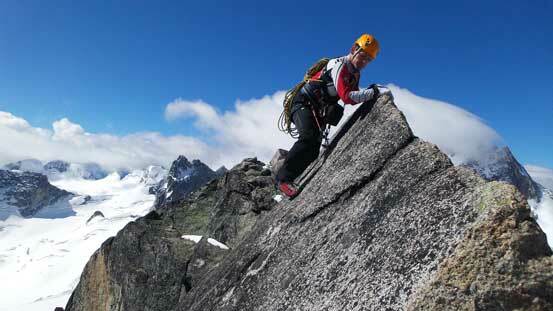 Tony was out of my sight but as a belayer I knew he did it very well as I had to constantly give out the rope. There wasn’t really much of a pause, and soon enough, he made to the station and I’d be the next! 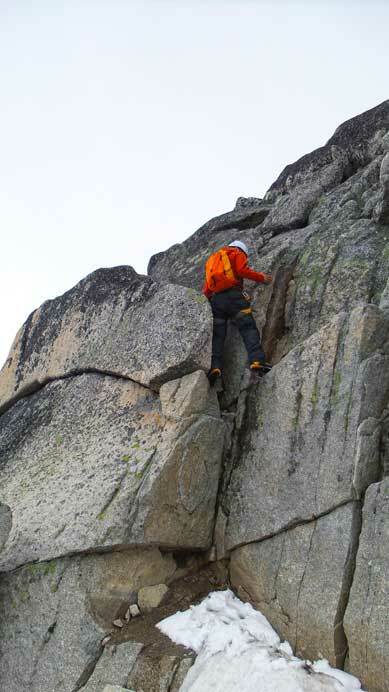 The climb got significantly harder once I made over the edge and onto the slabs. 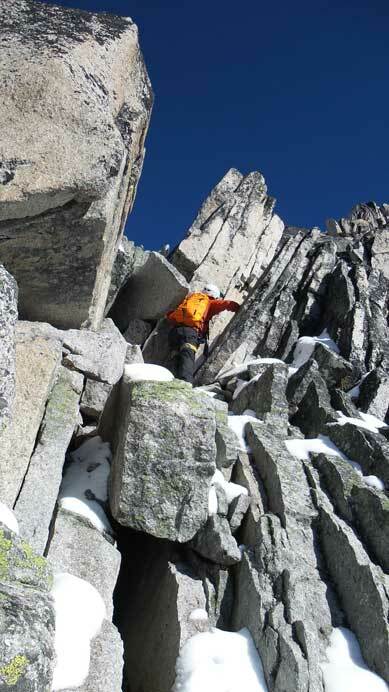 The first hard move was a long reach with finger holds on the other side, and pure friction on both of my feet. Until now I did reasonably fine. A corner followed up but what surprised me was another long reach ahead. This one seemed like the real crux. By following basic sense I put my left toe on a tiny ledge, but that ledge was coated with ice and my rock shoe got wet… Now at home I watched a couple YouTube videos and seems like that tiny ledge offers two key foot holds and one finger/hand hold. 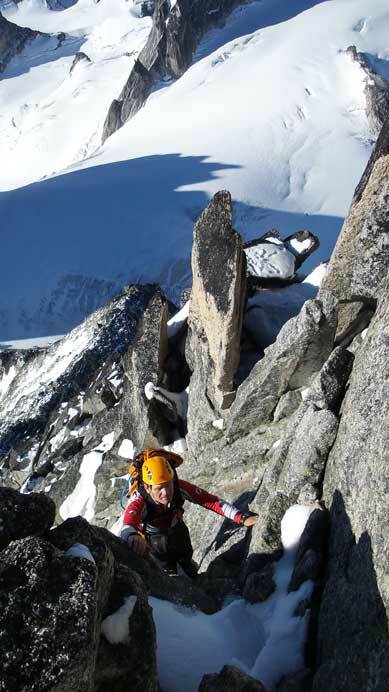 For me that was out of consideration and I was forced to go upwards onto the slab, 60 degree if not more than that with absolutely no hand/foot hold… I got stuck for a while and my energy quickly ran out. 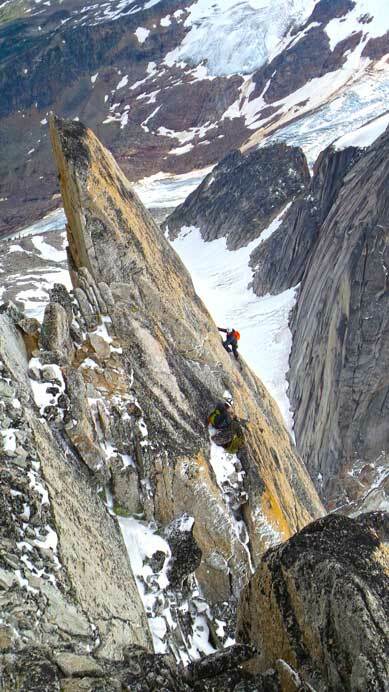 Once I figured there’s no way to make any further I grabbed the rope, swung leftwards to a corner and then used “batman style” to gain the last few meters of height to finish this pitch… By no doubt it was certainly the craziest and hardest thing I’ve ever climbed outdoor. Ben mastering the gendarme pitch. 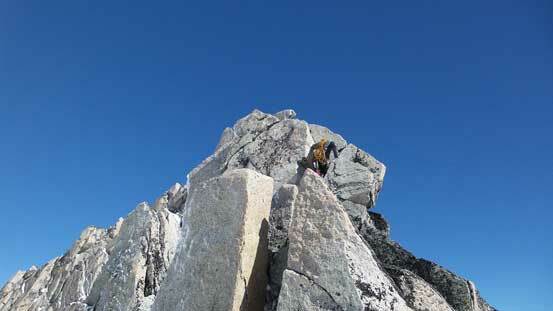 After the gendarme pitch I scrambled up some easier terrain to photograph Ferenc and Ben crossing the crux. They all made through easier than what I did, by staying a little lower at the second long reach. The last bit towards the summit looked easy but actually not. 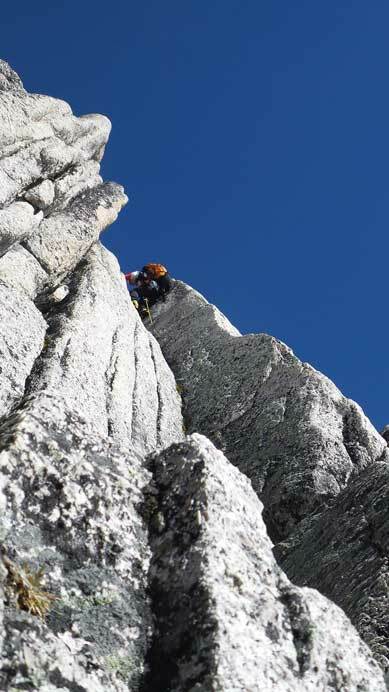 Some difficult scrambling brought us to the base of the final 5th class pitch. 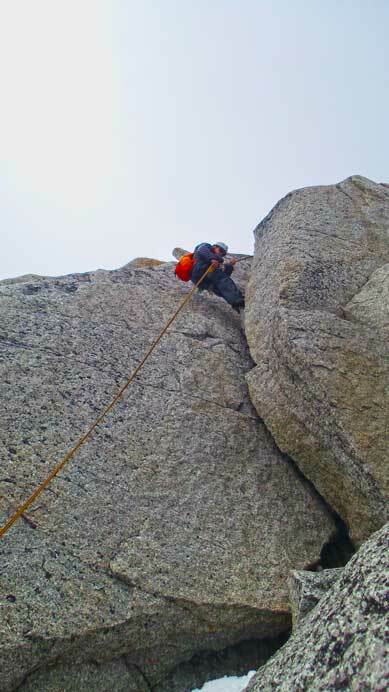 Tony solo’d it and found a bolted rap anchor near the summit and belayed me up. Ferenc and Ben were a bit behind and to speed things up they just solo’d it. 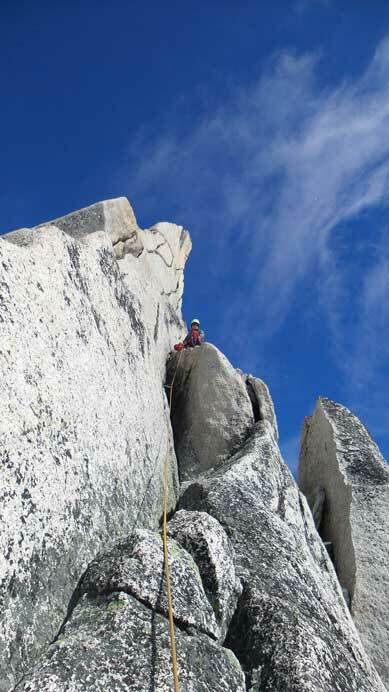 From the top rap anchor there were still a few awkward moves on wet rock to the south summit. Luckily that’s the true summit so we didn’t have to traverse the connecting ridge to where the NE Ridge tops out (which looked to be out of shape as for this day). Mt. Conrad was hidden in the clouds. 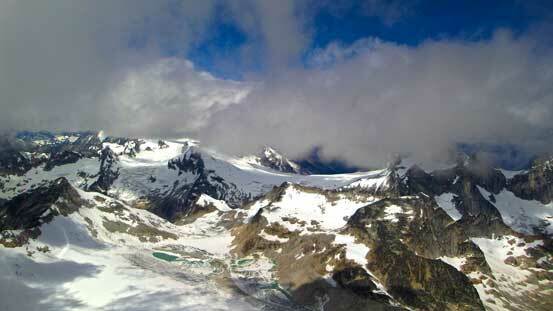 A view from the summit. 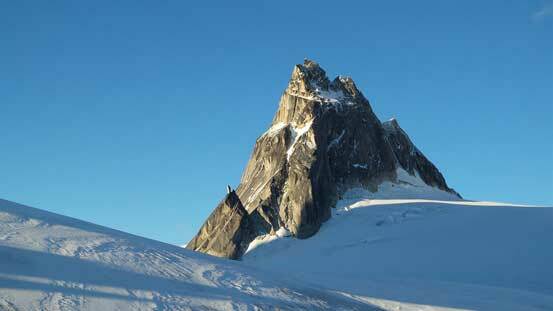 Snowpatch Spire looks small. 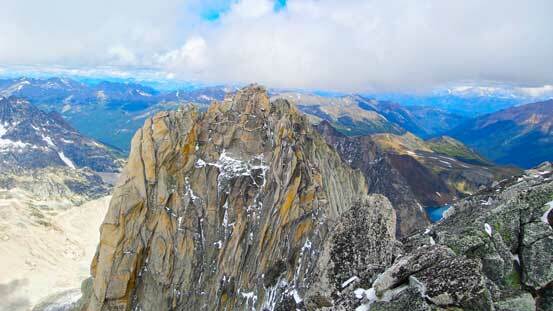 Fortunately, the north summit is a few meters lower than the summit we stood on. 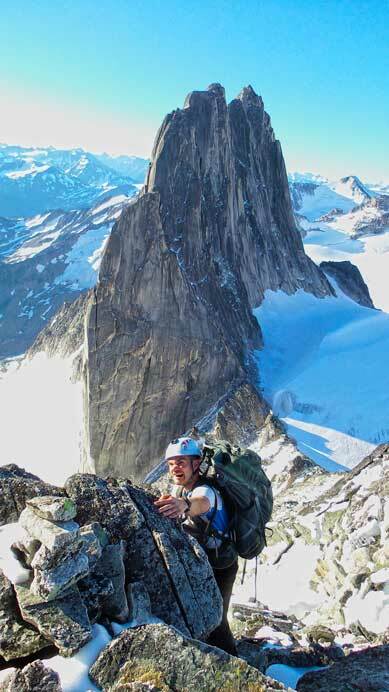 Me on the summit of Bugaboo Spire!! Due to the clouds rolling in we lost most of the views, so there weren’t much to photograph from the summit and we immediately focused on the descent. 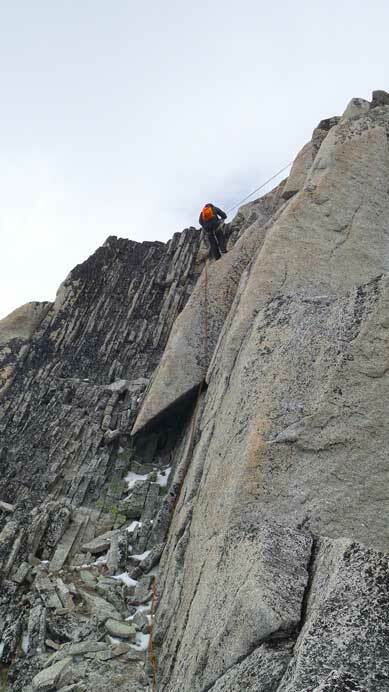 With 6 bolted rappel anchors the descent went by fast. All the anchors except for Rappel #3 were very easy to see (basically even without any description you should be able to see them). 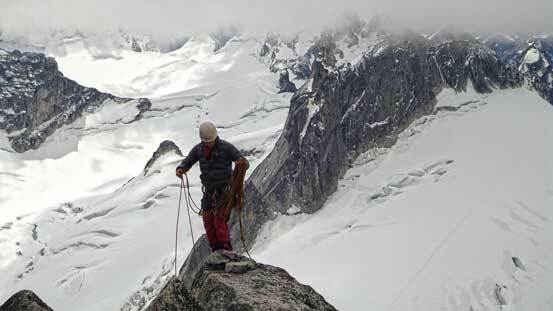 Rappel #1 brought us straight down from the summit to the flat area just above the gendarme. Rappel #2 was the most interesting one. 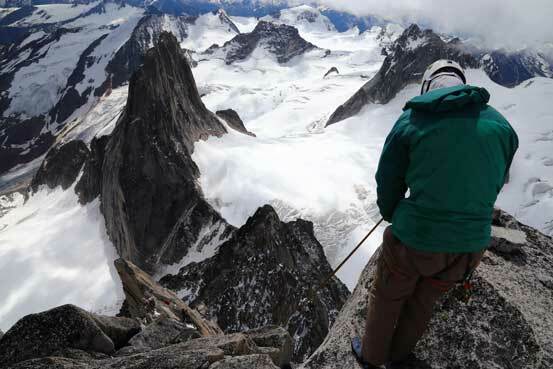 Instead of going down the same way we came up, we had to rappel into the abyss down the EAST side of the gendarme. Getting into this rappel required swinging into the overhang, with the exposure straight down to Crescent Glacier below… Getting to Rappel #3 was not as obvious as one has to scramble up and over a corner. Ferenc and I missed it and went too far down but thankfully Ben managed to swing the rope to us, and we managed to start this rap from roughly halfway point. 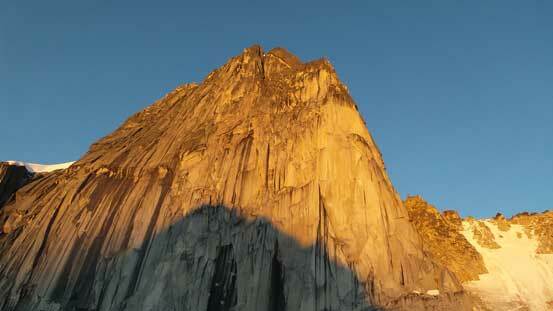 I believe the next group from Colorado also missed this rappel and had to backtrack. Rappel #4 was directly below #3. 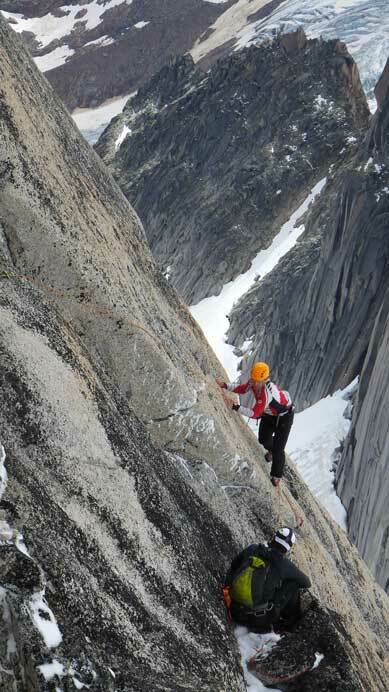 It’s the shortest but it’s kinda a diagonal rappel which felt a bit awkward. 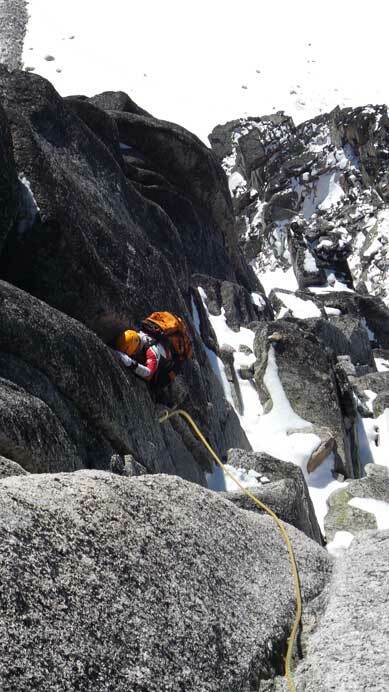 After that we down-scrambled the exposed 4th class ridge to the top of Rappel #5. Tony went ahead of us as the terrain started to get easier and more obvious. The rappel anchors for #5 and #6 were exactly the same as the belay stations we used on the way up, and two 25 m raps brought us down the 5.4 terrain. Below this section there was another station. At this point I felt kind of fatigued so went for another rappel (Rappel #7, optional) while Ben and Ferenc just down-climbed it to easier terrain. After this there were two more short 5th class steps. 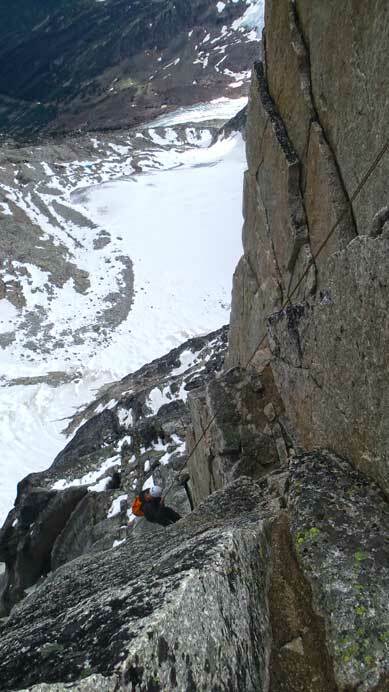 We all down-climbed the right-facing awkward corner but rappelled the diving-board rock part (Rappel #8, optional), and after that it was a long section of down-scramble on 3rd class terrain to Bugaboo/Snowpatch col. 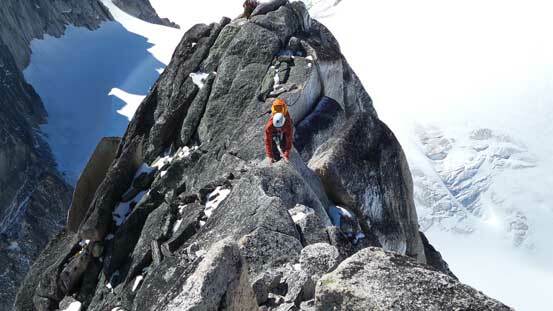 It seemed like most group decided to rappel from the col. Oh by the way, all the groups (at least 6 groups) who went for west ridge of Pigeon Spire had to turn around due to ice, so we made the correct call of ascending the ironically, more challenging Kain route on Bugaboo Spire on this day. 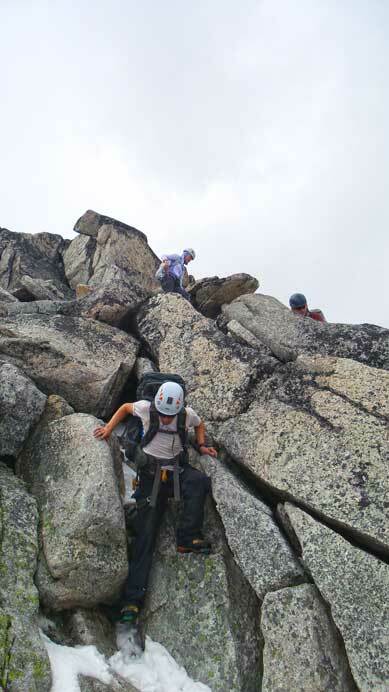 While the Colorado group prepared for their rappel, we strapped crampons on and started the down-climb. The sandy and rocky sections were a bit interesting and the upper slope felt quite steep. 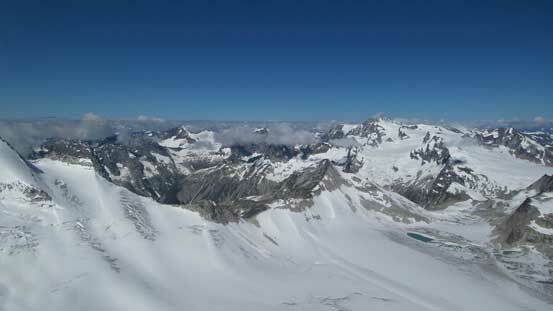 At just above the bergschrund we turned outwards and plunged down the rest. The rest of the hike back to Applebee Dome was easy and scenic except for the last bit of elevation regain… That felt quite tiring after a long day. Our round trip time from camp to camp was 11 hours 45 minutes which I believe was okay since we travelled in a group of 4 for most of the technical parts. Now we had the entire evening ahead of schedule.